In the mid-1960s, Ferrari needed a production-based 2-litre engine for the new Formula 2 and conceived the mid-engined Dino to provide the necessary basis. 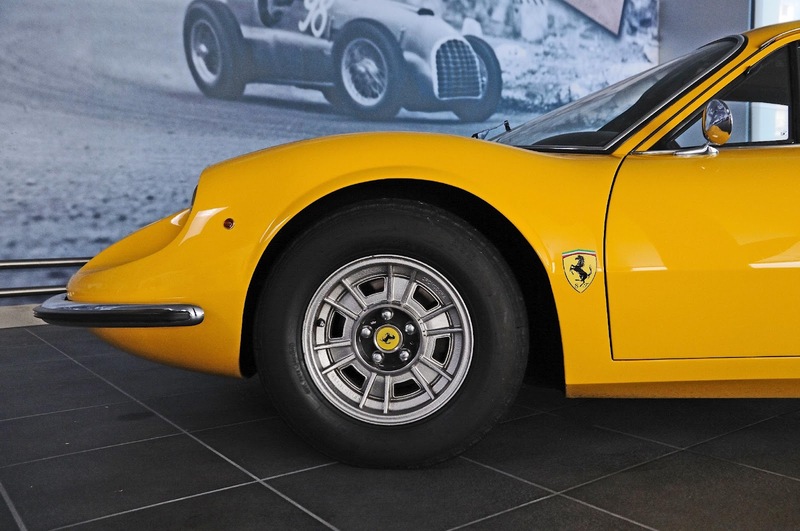 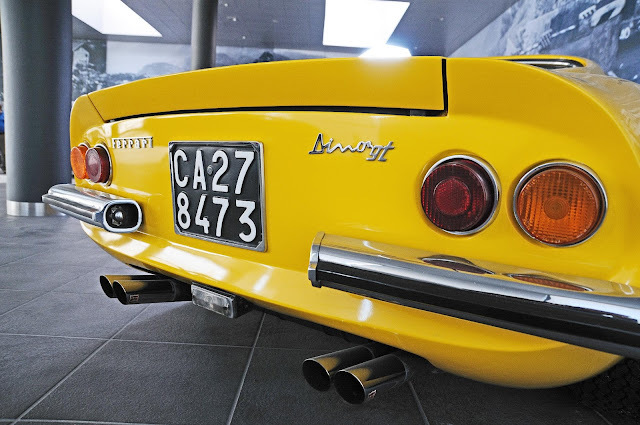 The first of these 'junior' Ferraris – the 206GT – debuted at the Turin Motor Show in 1967. 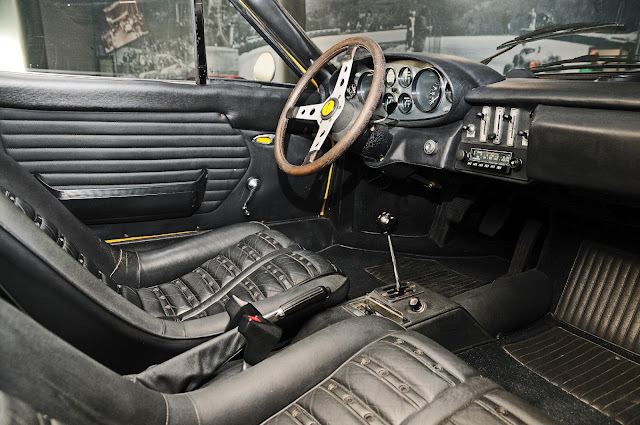 Building on experienced gained with its successful limited edition Dino 206S sports-racer of 1966, Ferrari retained the racer's mid-engined layout for the road car but installed the power unit transversely rather than longitudinally. A compact, aluminium-bodied coupé of striking appearance, the Pininfarina-styled Dino - named after Enzo Ferrari's late son Alfredino Ferrari and intended as the first of a separate but related marque - was powered by a 2.0-litre, four-cam V6 driving through an in-unit five-speed transaxle. 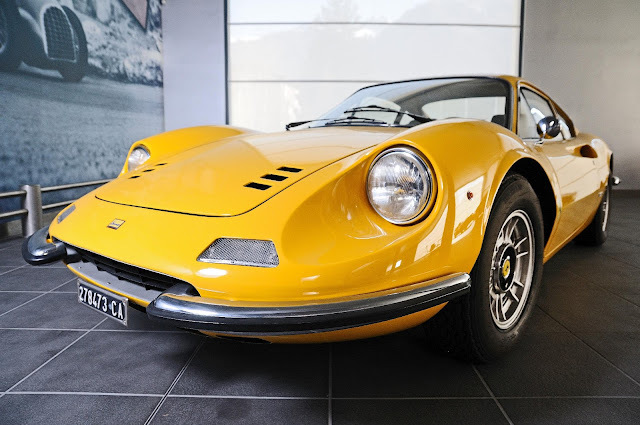 The motor's 180bhp was good enough to propel the lightweight, aerodynamically-efficient Dino to 230km/h and while there were few complaints about its performance, the high cost enforced by its aluminium construction hindered sales. 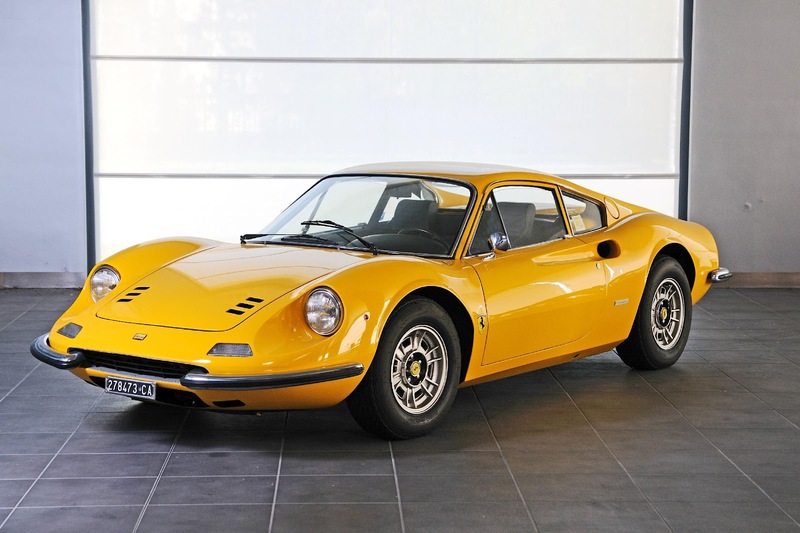 A 2.4-litre version on a longer wheelbase - the 246GT - replaced the Dino 206 in late 1969. 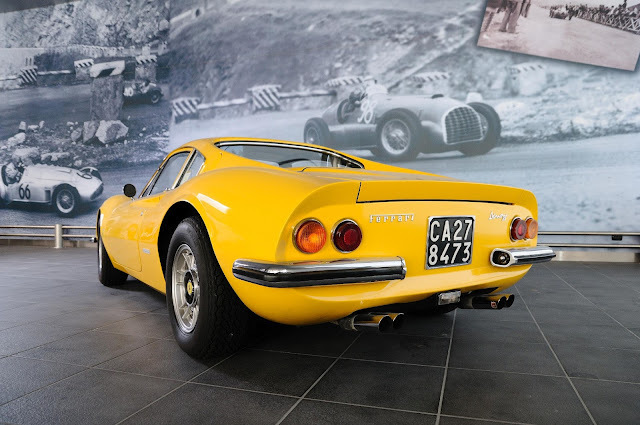 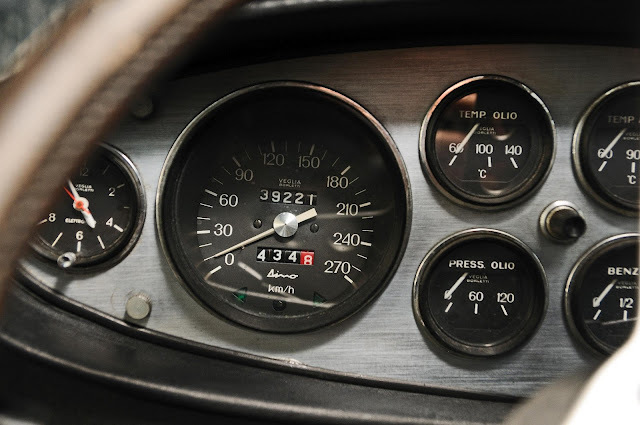 The body was now steel and the cylinder block cast-iron rather than aluminium but the bigger engine's increased power - 195bhp at 7,600rpm - was more than adequate compensation for the weight gain, as the Dino's top speed increased slightly to around 240km/h. 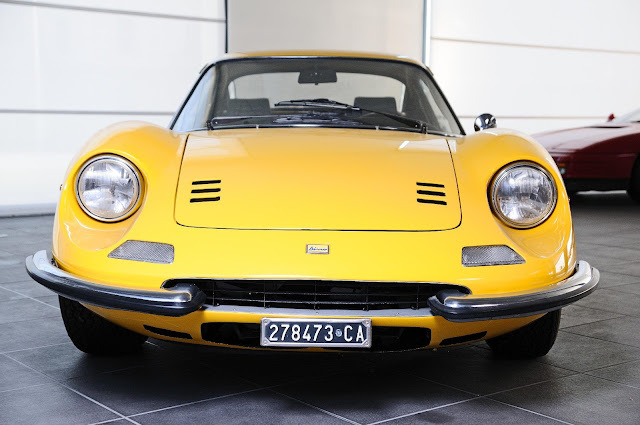 A Targa-top version, the 246GTS, followed in 1972. 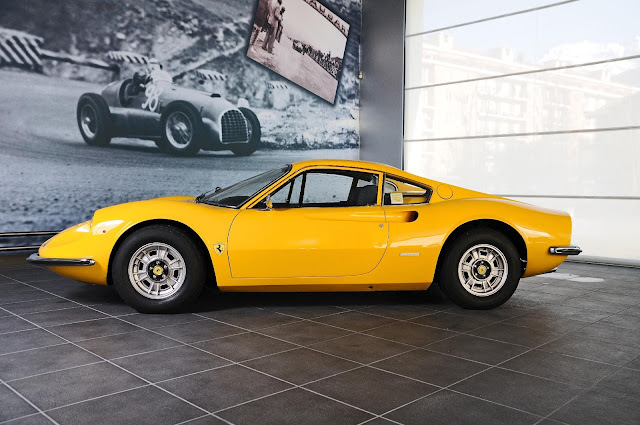 While not as fast in a straight line as its larger V12-engined stablemates, the nimble Dino was capable of showing almost anything a clean pair of heels over twisty roads. Truly a driver's car par excellence. 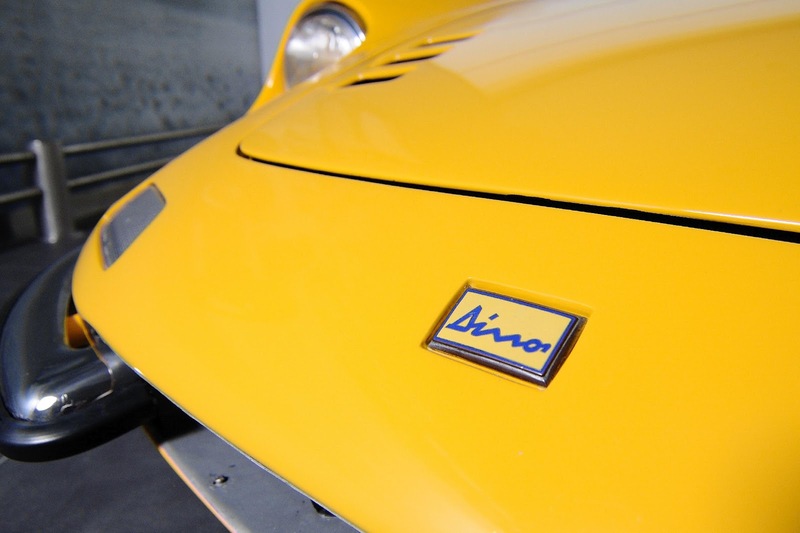 As the first series-produced, mid-engined Ferraris, the early Dino V6s are landmark cars. The line they founded would prove to be an immense commercial success for Maranello, production amounting to 2,487 GT coupés and 1,274 GTS spyders by the time the model was discontinued in 1974. The pictured Ferrari Dino 246GT Berlinetta from 1972 sold for 178,250.00 Euro including premium at the Bonhams Monaco, Musée de Voitures du Prince Monaco auction on May 11th 2012.